+ Miễn phí giao hàng thu tiền tận nhà toàn quốc. 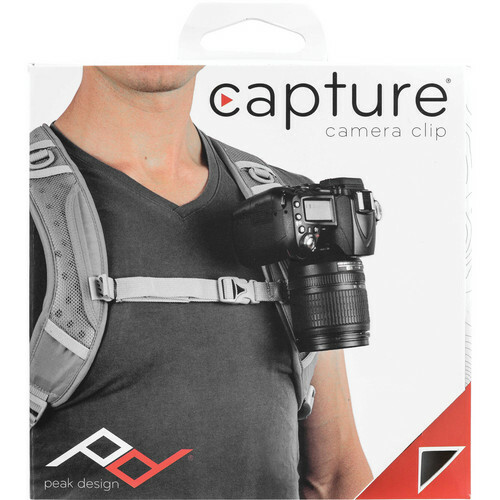 The Capture Camera Clip V2 from Peak Design is a camera holstering system that securely holds your camera without the traditional camera strap. The system is made of up a clip and a quick release plate, which together can support up to 100 lb. 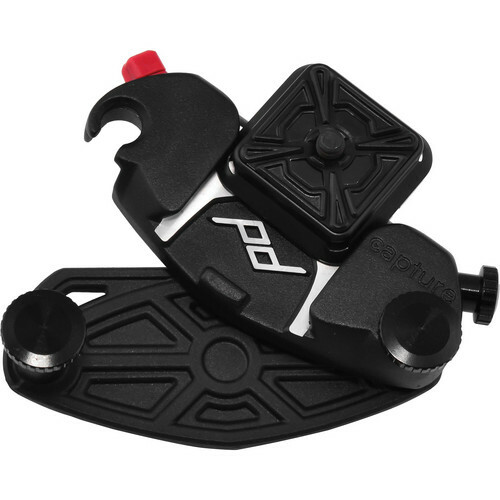 The quick release plate is compatible with all Arca-type clamps. The clip can attach to any backpack strap, bag, or belt less than 3" wide. 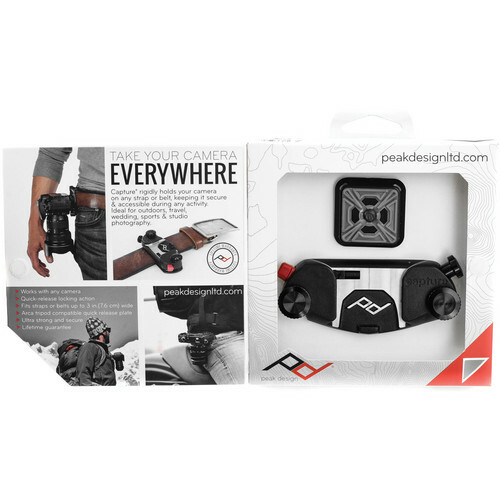 It is ideal for photographers who need their hands free and also need instant access to their camera. To use the system, attach the quick release plate to your camera, clamp the clip around a strap or belt, and secure in place by tightening the two hand-tightened bolts. Your camera slides into the clip, locks in place, and will not detach until you push the quick release button to release it from the clip. The CapturePro comes with a 4mm hex wrench for securely installing your plate on the camera and a microfiber pouch for storing your clip when it is not in use. The quick release plate is compatible with any Arca-type head. A safety lock can be activated by turning the release button, preventing accidental release and theft. A plate locking-knob tightens down onto the plate for extra rigidity and for point-of-view video. All parts are made of corrosion resistant and weatherproof materials. The standard plate has dovetails on all four sides so that your camera can be mounted in the clip in any direction, making changing the lens an easy task. There are four holes in the corners of the plate for attaching Micro Anchors for Peak Design's Leash and Cuff.